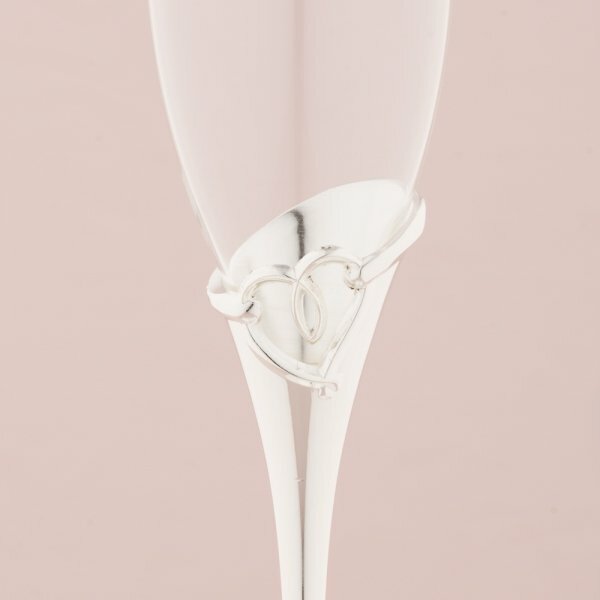 The silver plated stems on these glass champagne flutes for weddings feature a beautiful stylized heart design. 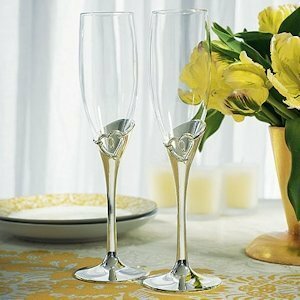 They will add a romantic flair to your toasts at the reception. 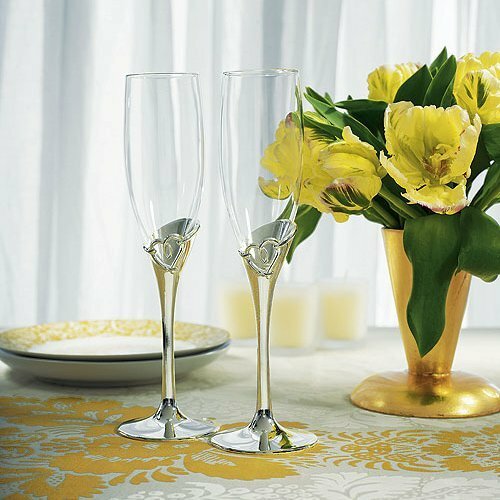 Holding 6 ounces each, the delicate glass bowls are balanced atop a silver bases, each flute measures 10" tall overall. 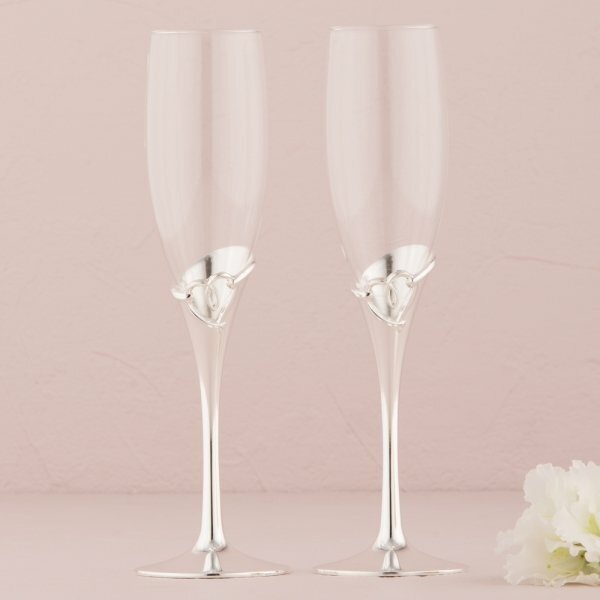 Sold in a set of 2, they are a lasting keepsakes that can be used each year on your anniversary to bring back beautiful memories of your wedding day!